Jonathan gave a really interesting and interactive lecture. Which one is more important Effect or Affect? To give an example relating to the lecture he showed us two posters. One from the U.K. and another from mainland Europe. Analysing the poster I was quick to realise that the U.K. Poster had a better affect than effect and vice versa for the european mainland poster. The British poster is much more to the point! The main aim of the poster is to PERSUADE people to join the army. They do this by giving the men knowledge and another reason to join the army. Hence the poster has great affect but not effect as the visuals are not imaginative or creative...more realistic to help the viewer empaphise to see what would happen to them if they joined the army. The European poster is much harder to understand despite the lack of languange. It requires more intelligence to understand what the purpose/message of the poster is. Therefore it takes a great time to think and reflect upon the message tried to be given which won't be done at a glance at looking at the poster. Hence this poster is less affective. 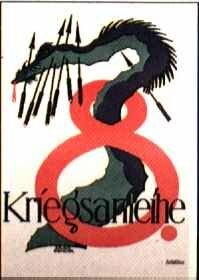 But the effect using imagination and illustration and the theory of thinking is far advanced than the other poster. So here the U.K. poster has been heralded as the more succcessful poster. Or is it? I think throughout the time of my blogs i have refered to culture and in this case the audience and viewers of the poster. The european culture is more in touch with the artistic side. Hence art and design movements have largely occured in France, Italy, Russia and Austria. So to think that the posters if swapped round would make same statistical reading would be foolish. The culture dictated how the posters had to be made. Europeans don't like being told what to do. They have a passion for perfection with every aspect from language to lifestyle. Do you truely believe that this poster was not in line with these trends? I think both posters was successful in converting the minds of as many people possible as far as posters can. It was the gullable minds of the British and other campaigns which helped larger turnouts for the British than the Europeans. Do you agree or disagree? Please comment...reply's given on this board. I took the definition of affect as it is defined in The ist chapter of Don Norman's book, emotional design - as being the emotional impact of the design. Effect I took to be the result. Here's an interesting point about the British poster. My mother knew an old man, Johnny Black, who liven in Mull and was a soldier the 1st world war. 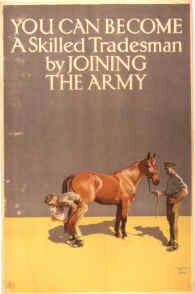 He said that at the beginning of the war, the goverment send people round to appropraite people horses for the war effort. I think they got some compensation, but the end result is that thousands of good working horses were spirited away, and Johnny Black always wondered what happened to them. You see, at the time, the ancient short-sighted generals in charge of the British army still believed that the Cavalry would Win the Day. Of course they soon found that a) the horses got bogged down in the waist deep mud and couldn't charge and b) the Germans (who were up to the minute with the new fangled unchivalrous technologies) mowed them down in minutes with machine gun fire. So it's ironic that the effective poster is advertising a completely redundant mindset as regards effective warfare! I like the European poster more but I see your point about the two posters may affect/effect people from different culture differently. With YouTube as a powerful and dominating tool for communication, is the thinking expressed in this post slowly forced to break down by outside factors? P.S. It is nice to see you've created an interesting blog here. I will check out a few more entries.